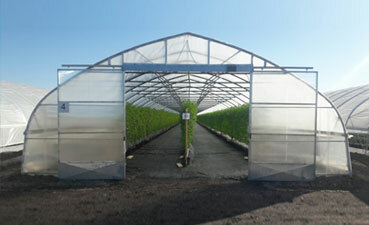 We offer the right solution for all needs, from small hobby greenhouses to large multi-span professional greenhouses. We also cost-effectively manufacture custom-made products. Our tunnel farming options create ideal conditions for a high-yield crop, whether you want to grow strawberries, raspberries, blueberries, salad greens, asparagus, tomatoes or sensitive decorative plants. 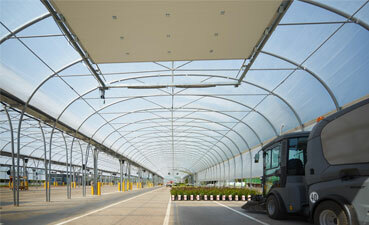 Film tunnels are no longer used only for cultivating plants but also for roofing, animal shelters and straw storage. 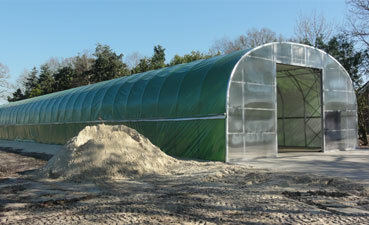 Our film tunnels are ideal for roofing pools, ponds or storing straw, wood etc. 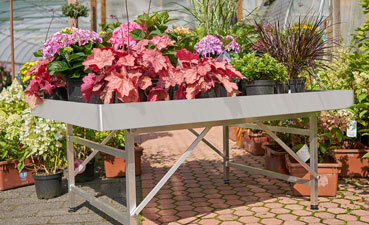 We are not only specialists for high quality greenhouses, but we provide you with a wide selection of fittings, too. In addition to the basic fittings, from different control, ventilation and heating systems, to aluminium sales and production tables, we also provide small details such as aluminium clamp strips and swivel anchors.